The Wildlife Rehabilitation Center is always looking for safe places to release hand-raised orphaned Cottontails, Raccoons, Opossums, Gray Squirrels and Mallards. These release sites need to be private land that is under your control. Release sites do not need to include dozens of acres and do not have to be strictly rural. Unfortunately urban lots and small suburban yards are not good environments for recently released wild animals. Raccoons and Opossums need mature deciduous woods with water near by, preferably with lots of oaks (raccoons love tasty acorns!). Gray Squirrels need similar habitats and a large suburban lot is sometimes suitable as well. 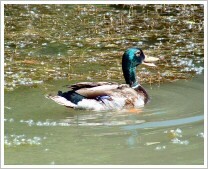 Mallards need a large pond, lake or river, preferably with emergent and floating vegetation. If you would like to offer your property as a release site for our beautiful rehabilitated wildlife, please click here to apply after reading our release guidelines below. Location – Since most of the injured, sick, and orphaned wild animals we care for originate in Milwaukee County, we would like to find release locations for them within the county. However, other release sites are also needed. For logistical reasons, generally the closer the site is to our location, the more likely we will be able to use it: some species do not travel well and cannot tolerate a long drive to a release site. In order to give our released patients the best chance for long term survival, we do not release them on or near areas that allow hunting or trapping. Nor do we release predatory animals near game farms, poultry farms, waterfowl refuges or endangered or threatened species breeding areas where their species may be considered a nuisance. Close proximity to residential areas or heavily traveled roads may make a tract unsuitable for the release of some species. Size – A tract of land does not have to be huge to qualify as a release site. Small tracts may be quite usable if they are adjacent to other areas of appropriate habitat, or they are attached to other suitable tracts by “corridors” such as undeveloped river ways or parkways that the animals can use to move from site to site. Habitat – Habitat requirements vary from species to species. Captive-raised mallards will require a large pond, lake or river. Gray squirrels will require deciduous woods with nut-bearing trees. We carefully consider the habitat features of a proposed release site before releasing animals there. We must also consider the populations of other animals on a proposed release site. A tract with a high number of raccoons on it already would make a poor choice for a raccoon release site. A parcel of land heavily hunted by large owls or foxes would make a poor choice for a cottontail rabbit release site. 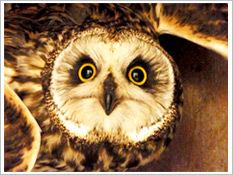 WILD-life – It must be understood that we release WILD animals. They are not pets! You must not attempt to capture, handle, or tame them. I’ve Found a Bat! What Should I Do? Protect Birds and Bats from Burdock! Hundreds of avian window collision victims are admitted to our Wildlife Rehab Center each year, but you can help! Learn more about the WIngs program here. The Wildlife Rehabilitation Center is always looking for safe places to release hand-raised orphaned Cottontails, Raccoons, Opossums, Gray Squirrels and Mallards. Can you help?